With Ricardo Zelaya Coffee in Guatemala. Katia at Finca Santa Clara. Perfectly aligned rows of shade trees and coffee. Ricardo at Finca Santa Clara. Volcán de Agua from Finca Santa Clara. Visiting the Zelaya avocado farm in Antigua. Mike and Ricardo discussing fermentation. Raised drying beds of natural processed coffee. Hand sorting at Finca Santa Clara. The day's take at Finca Santa Clara. Inside the dry mill at Finca Santa Clara. With Ricardo outside the dry mill. 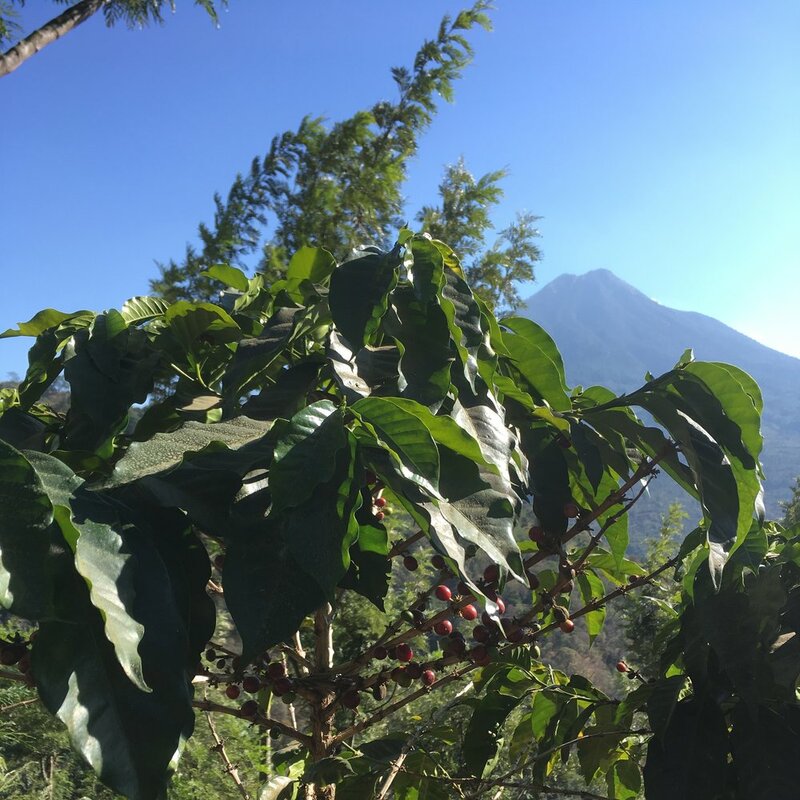 Acantenango and Volcán de Fuego from Finca Santa Clara. At our shop Bean Around The World - Main & 20th, we worked hard to promote the provenance of the coffees we served and the producer relationships quietly developed by the Roastery. The most impactful was without a doubt their longstanding partnership with Ricardo Zelaya in Antigua, Guatemala. 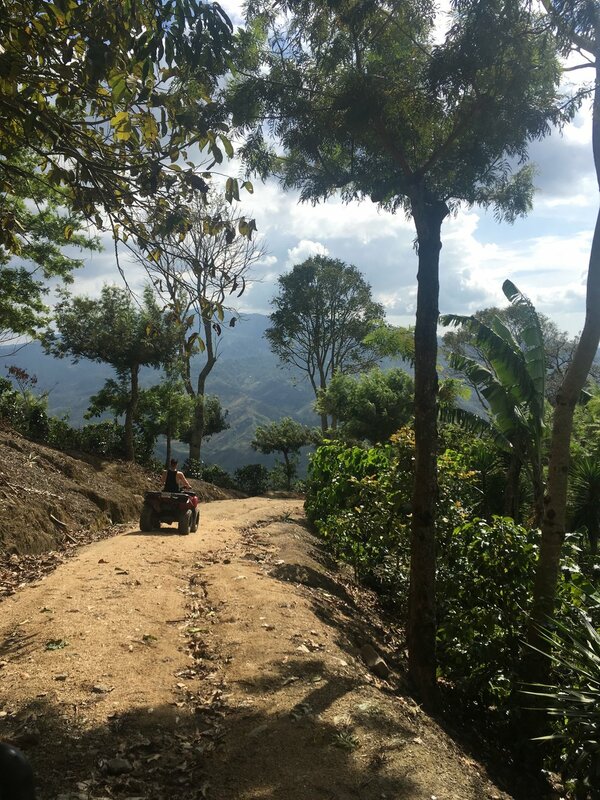 What began with an introduction by Ricardo's brother evolved into a direct trade relationship that not only delivered premium Santa Clara coffee to the Bean lineup, but also resulted in a school being built at the Zelaya family's remote farm, Finca Carrizal. Built in 2008 by Ricardo and Pete and Barney from Bean, this schoolhouse offers an attentive, substantive education to the children of the Zelaya's staff who would otherwise lack meaningful options. The area has only had electricity for 8 years! 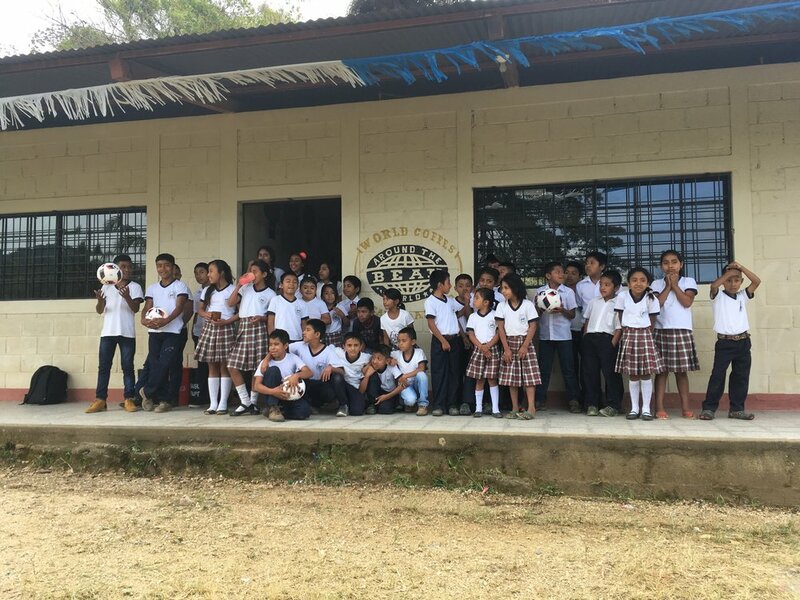 With an enrolment that has at times reached over 90 elementary students and is now equipped with a computer lab generously provided by Vancouver-based Health 4 Humanity, Escuela Privada Finca Carrizal continues to thrive with support from Bean Around The World. 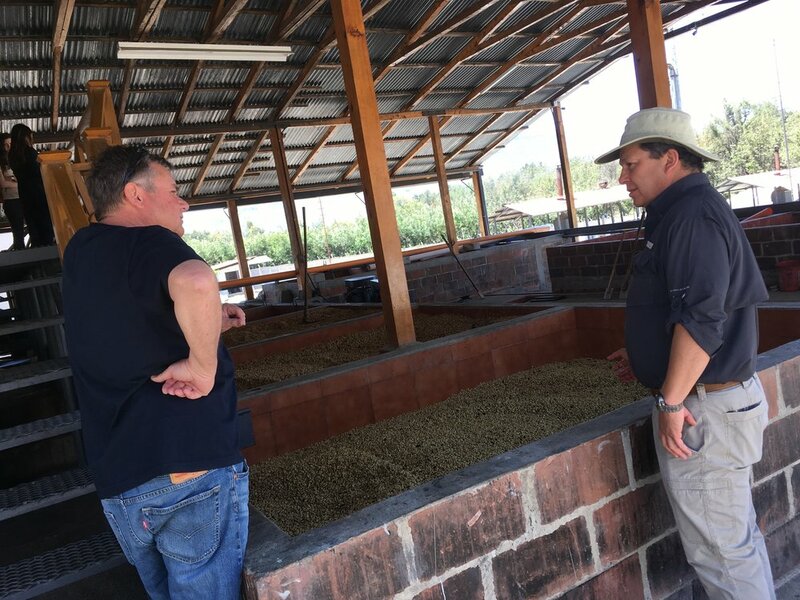 After many years of anticipation, this March I was finally able to travel to Guatemala to spend time with Ricardo and his daughter Katia at their estate farm Finca Santa Clara in Antigua as well as at Finca Carrizal, in eastern Guatemala. Ricardo and Katia know well how much I have admired their tirelesss work both professional and philanthropic. On the ground with them on their turf, I was blown away. It would be hard to pick which is most impressive - their meticulous and ambitious coffee farms and processing facilities, their care and compassion for the folks that work for their fourth-generation coffee company, their almost inexplicable energy for hospitality, their love of Guatemala, their insatiable appetite for ceviche... their Geisha. Along with Maureen, Mike and Chelsea from Bean Victoria, we basked in it all for 10 days feeling pretty blessed. Heading to Escuela Privada Finca Carrizal with Katia. Ahead of the school bell. The entire Grade 5 class. Midmorning at Escuela Privada Finca Carrizal. With Max from Bean Around The World at Finca Carrizal. Enjoying the soccer balls brought by Bean Victoria. With Ricardo and Katia Zelaya. Bean Around The World supported school. The view from Finca Carrizal. At Foglifter's inception, we reached out to Katia and Ricardo for opportunities to continue to support their philanthropic endeavours. 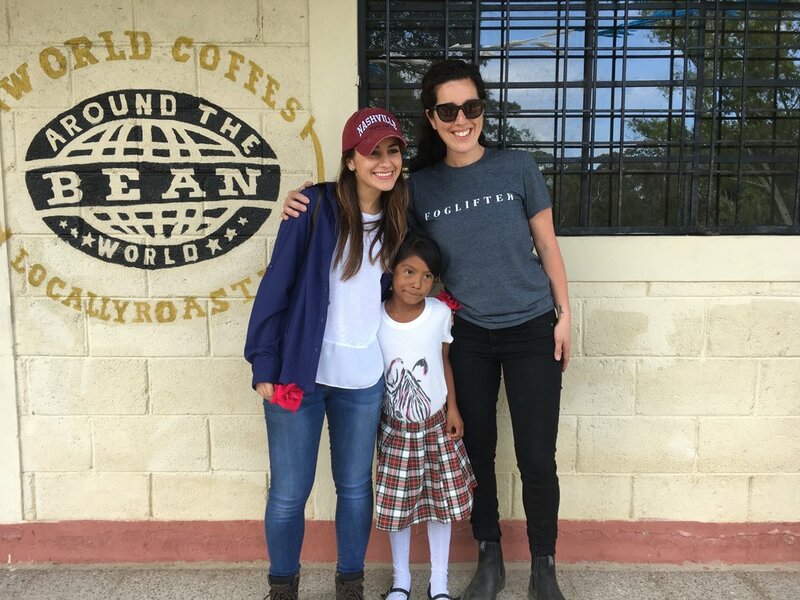 Katia selected their Santa Clara Scholarship Program as a way for our company and our customers' purchases to have impact. Over conversations on long, picturesque drives and dusty ATV rides around their farms, I was able to get a richer understanding of what this scholarship program means to its now thirty recipients. 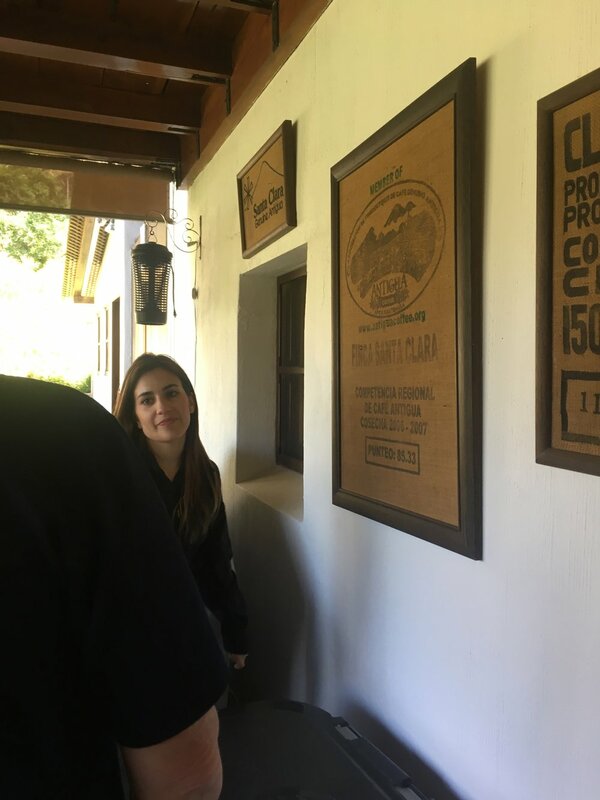 By being nimble and adaptive with their support, the Santa Clara Scholarship Program is able to pour fuel on the educational efforts that Finca Santa Clara employees are making for their children - be it public, private, secondary or post-secondary. When Katia relayed that there are four recipients in university, among them one to be an accountant, another an architect, I asked to what degree was the fund transformative for them. "One hundred percent." was Katia's instantaneous response, confirming that the cost of higher education is indeed prohibitive for the recipients' families. It is a pleasure to be one of the contributors to this worthwhile endeavour. Ricardo is quite literally known around the world for being an innovative, driven and impeccable producer of the some of the finest coffees in Guatemala - that is obvious on their farms, notable in the cup and recognized with industry awards year after year. We appreciate the time we've had to get to know him and Katia and cannot wait to have their upcoming crop in our lineup. PURCHASE THE ZELAYA HONEY PROCESS COFFEE TODAY! More shots from our trip on our Instagram feed and Highlights. Learn about how your Foglifter purchases elevate. 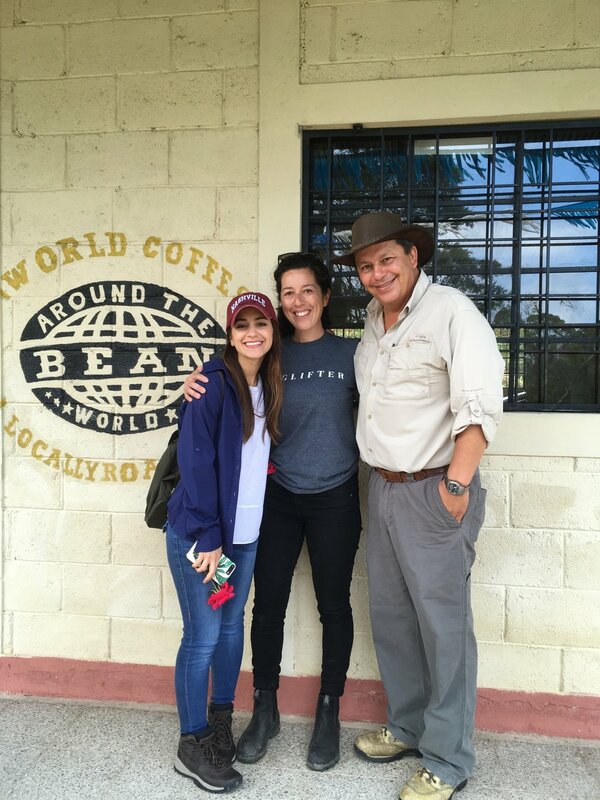 Look back to Bean Around The World's work in Guatemala. Immense gratitude to Bean Victoria for providing excellent company, deep pours of Zacapa, and more than their share of photography on our journey together.